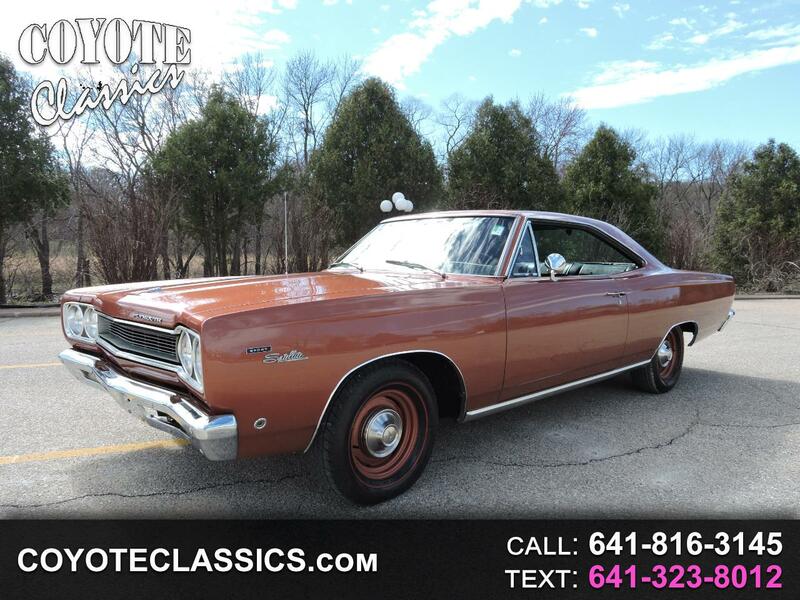 You are looking at possible the nicest 1968 Plymouth Sport Satellite around! This believed to be 37,102 original mile car has been cosmetically restored to a very high standard in the last couple years. It is powered by its 383 2bb V8 engine and backed up by its 727 Automatic transmission. It comes equipped with power steering, power brakes, factory air conditioning, dual exhaust, and is riding on a set of Steal rims with Dog dish hub caps surrounded by BFG red line tires. Its floors,frame, and trunk all appear to be in original condition and very solid. Its exterior bronze paint was repainted with most of its original chrome being chromed and polished. Its black bucket seat original interior took some fading while it was out in California and has just had its headliner, carpet, and seat covers replaced. The rest of its interior is still original and in great shape. You must see and drive this beautiful mopar to really appreciate its condition inside and out. It comes with its original window sticker, original paper plate, owners manual, and much more documentation. Message: Thought you might be interested in this 1968 Plymouth Satellite.